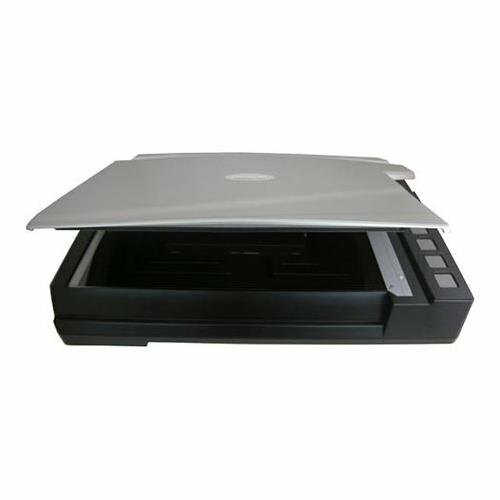 The Plustek OpticBook A300 is a large-format scanner that is ideal for scanning book pages and other large documents. It is equipped with function buttons designed to make the scanning experience more convenient and efficient. The A300 creates crisp, sharp images of the pages which can then be converted into other formats using the included software bundle. Users no longer have to avoid damaging book bindings by pressing it flat or cutting pages in order to achieve a clean scan edge. The OpticBook scans thick books without unbinding or dismantling them, making it an ideal scanning tool for students, libraries, schools, graphic designers and any other work groups in need of scanning large original documents. Book and Large Format Scanning: The OpticBook A300 can scan books and A3-sized documents, up to 12 x 17"
If you have any questions about this product by Plustek, contact us by completing and submitting the form below. If you are looking for a specif part number, please include it with your message.